Hi there, my darlings! I know I've been a little MIA lately. To be completely honest, I've been in a bit of a funk and have the hardest time motivating myself to do anything. But I'm slowly but surely snapping out of it and I have lots of really amazing products to share with you all in the coming weeks. 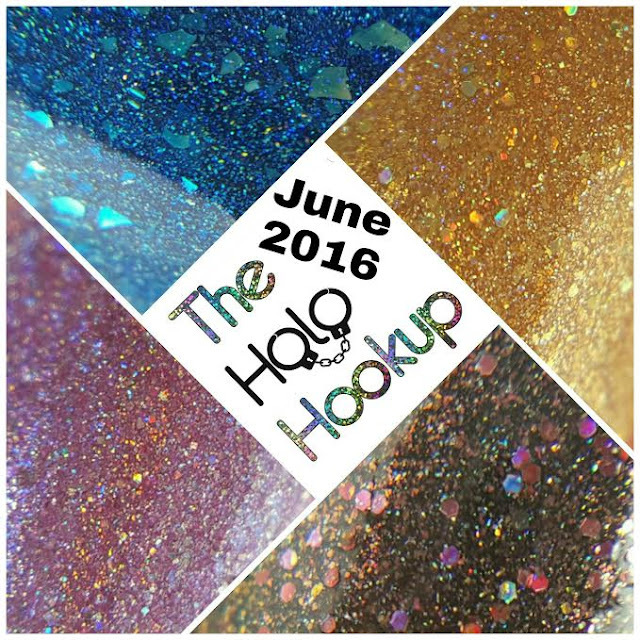 Let's start things off with the next installment of The Holo Hookup. The theme for June 2016's all-holo The Holo Hookup collaboration box featuring Jill of Glisten & Glow, Missi of Different Dimension, Sara of Cupcake Polish and special guest, F.U.N. 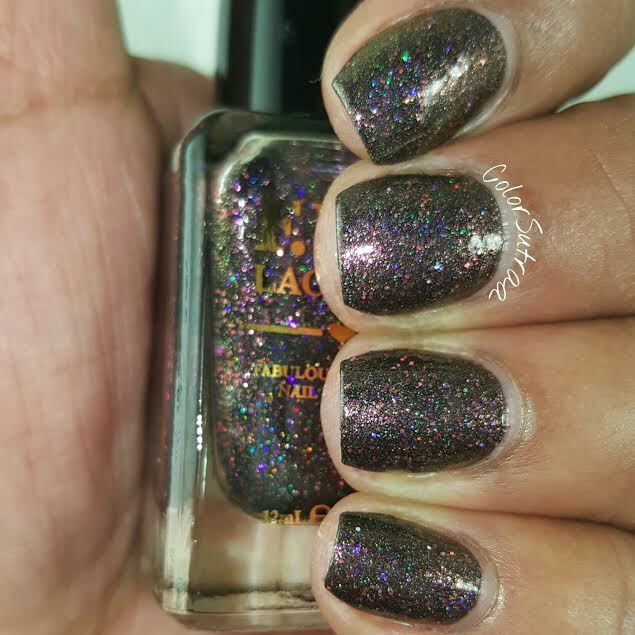 Lacquer is 'Decades of Comedies', where the ladies took their inspiration from popular comedies over the years. Take a look at their inspiration pics below! 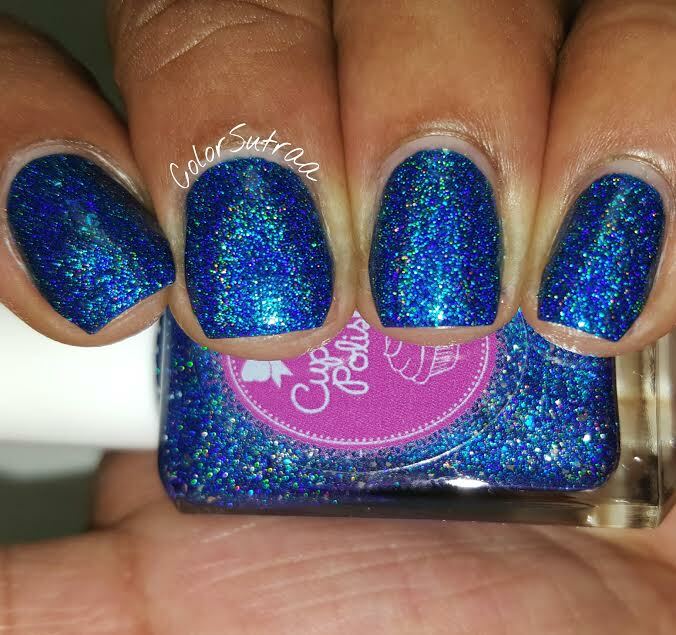 Inspired by Talladega Nights, Shake & Bake from Cupcake Polish is a "royal blue linear holo with shiny silver flakies". 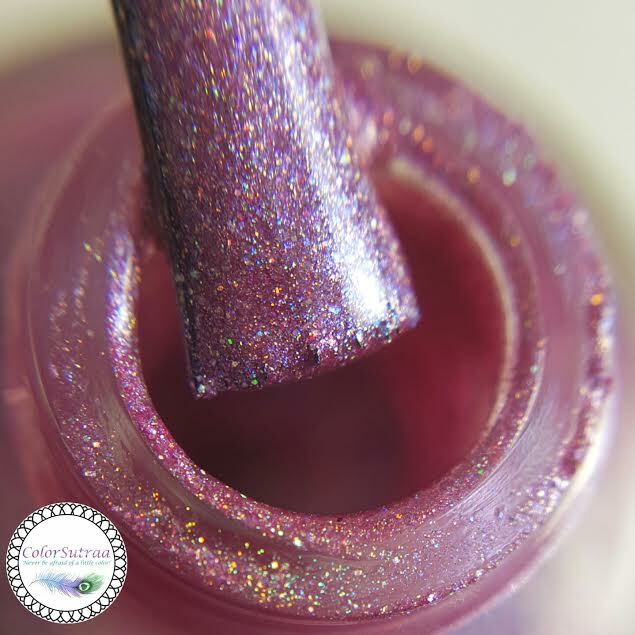 As with just about all my Cupcakes, fantastic application and formula--the swatches below show 2 easy coats topped with 1 thin coat of Glisten & Glow's HK Girl topcoat. 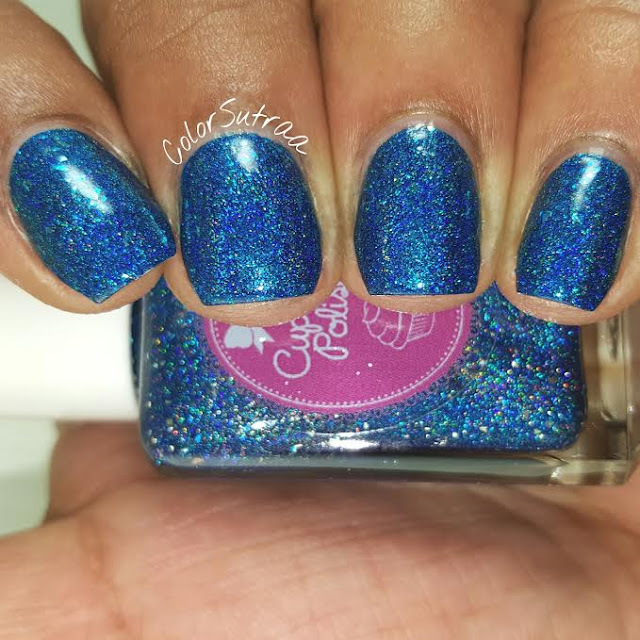 This gorgeous blue was an instant favorite for me right out of the box! 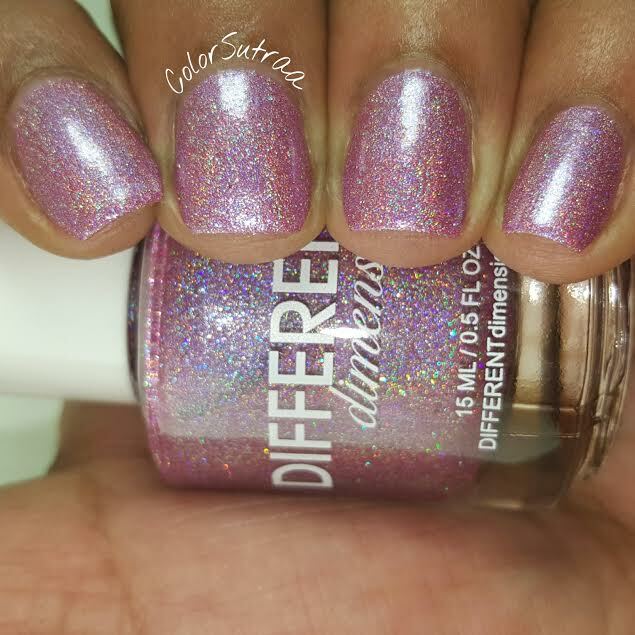 Inspired by Clueless, As If from Different Dimension is a "light pink linear holo with added shimmers and microglitters". 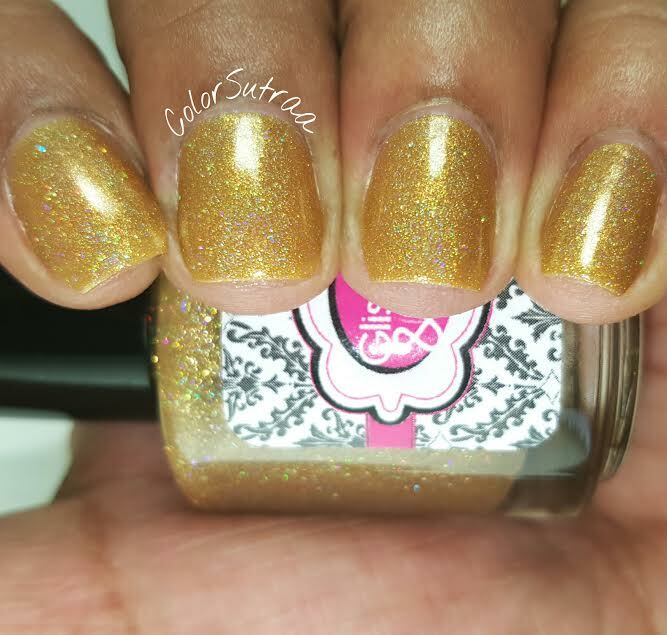 Lovely formula and application--the swatches below show just 2 coats topped with 1 generous coat of Glisten & Glow's HK Girl topcoat to bring it all together. Such an absolutely beautiful pink! 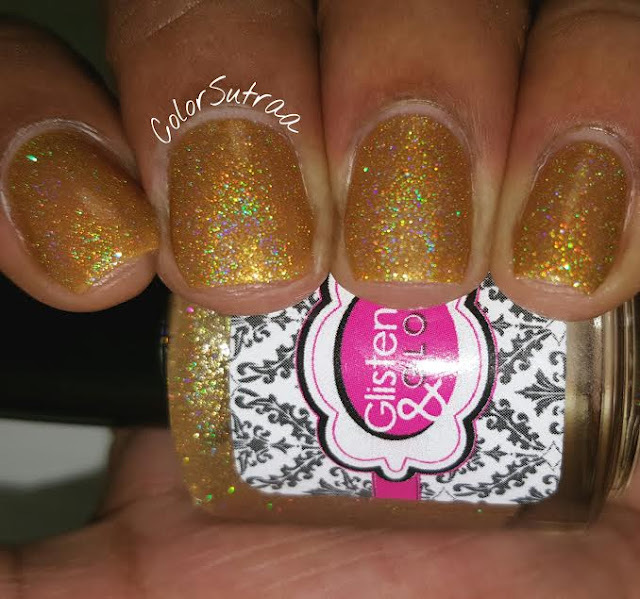 And I love the pop of the added microglitters! 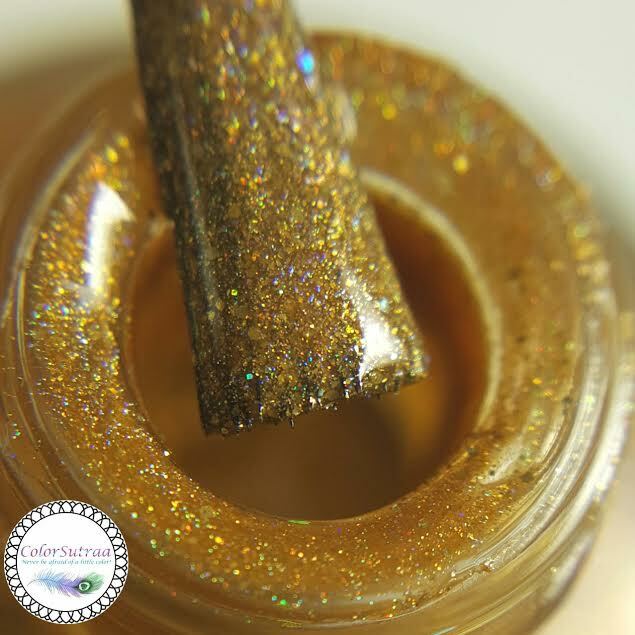 Inspired by Ferris Bueller's Day Off, Bueller...Bueller...Bueller from Glisten & Glow is a "gilded light brown linear holographic loaded with gold shimmers and flakies". 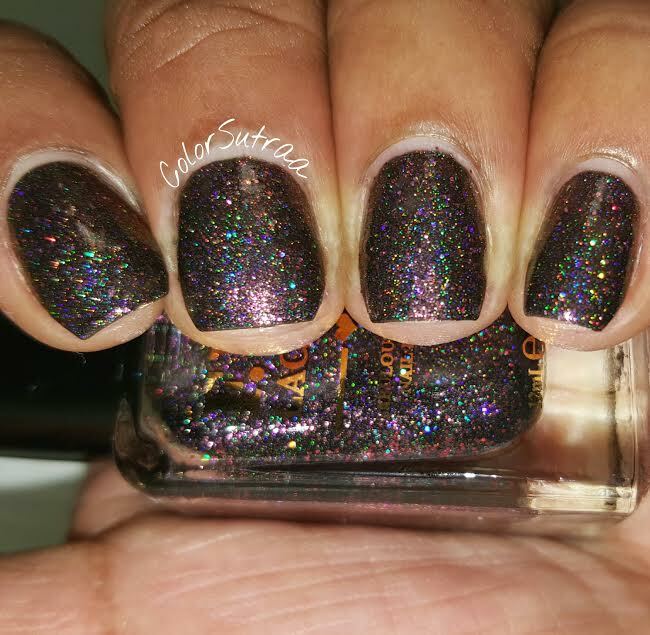 Perfect application and formula--the swatches below show 2 coats topped with 1 thin coat of Glisten & Glow's HK Girl topcoat. Even if you read that description and decided this baby was not for you, trust me when I say this--give this one a chance! Warm and inviting, it's truly gorgeous on! Inspired by Deadpool, Superhero Landing from F.U.N. 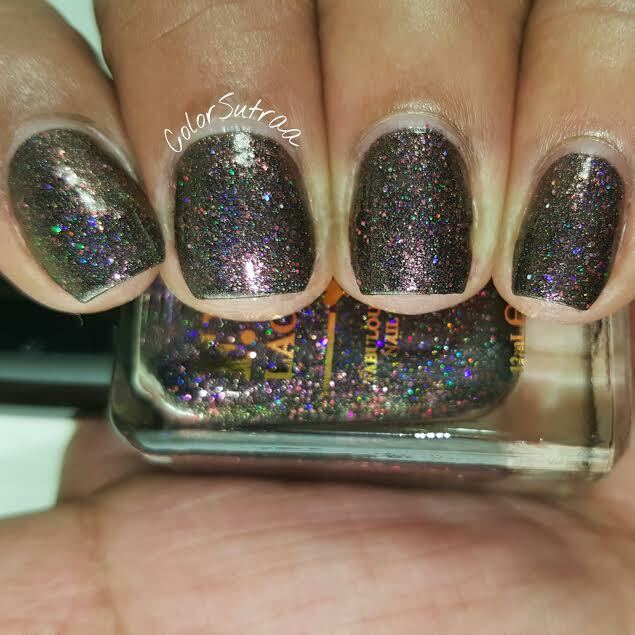 Lacquer is a "black linear holo with red/copper shimmers and red holo glitters". 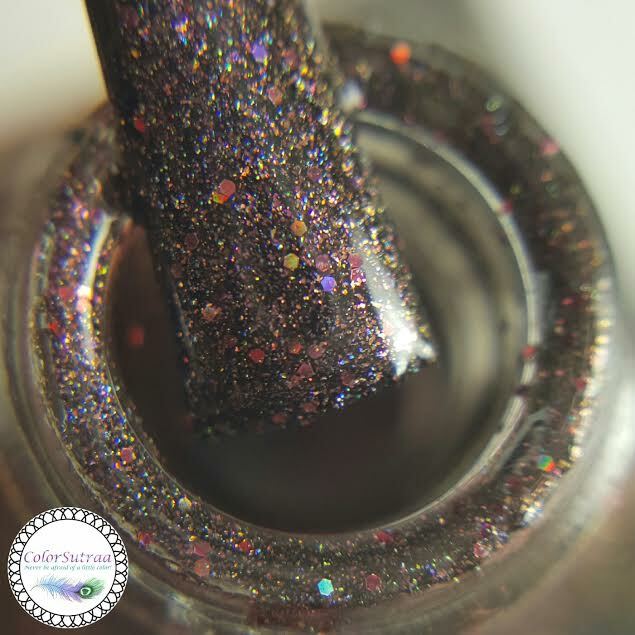 Perfectly smooth, easy formula and application--the swatches below show just 2 easy coats, topped with 1 generous coat of Glisten & Glow's HK Girl topcoat. 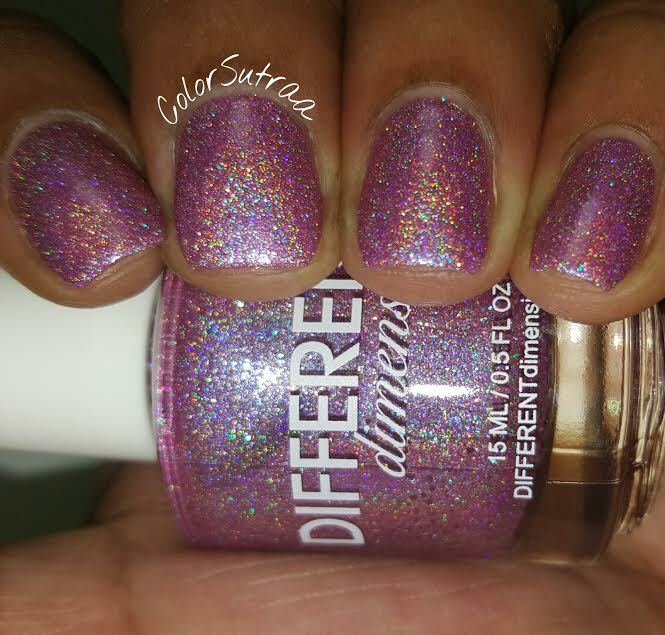 This is my very first F.U.N polish and I'm completely in love with it! 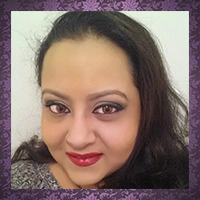 I love a good vampy shade and the red additions makes this one so much more interesting! So there you have it my darlings! 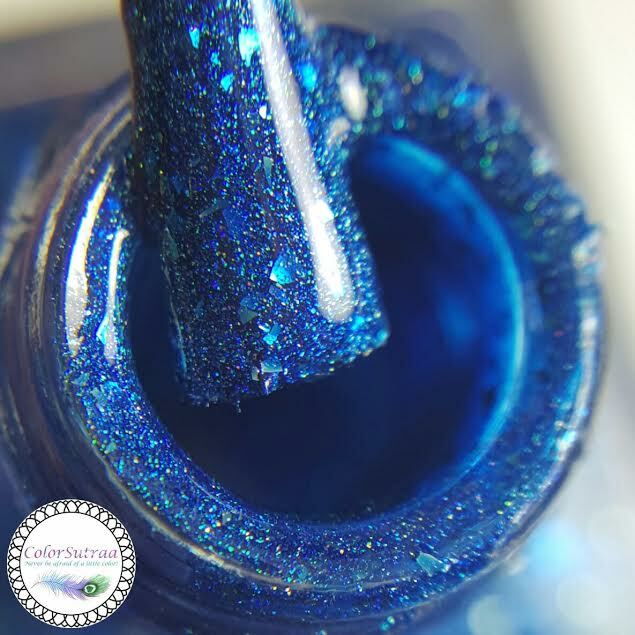 Pre-orders for June 2016's box will begin Saturday 5/21/2015 at 9 pm EST at the Holo Hookup's website HERE, and continue through Saturday 5/28/2015 at 9 pm EST. 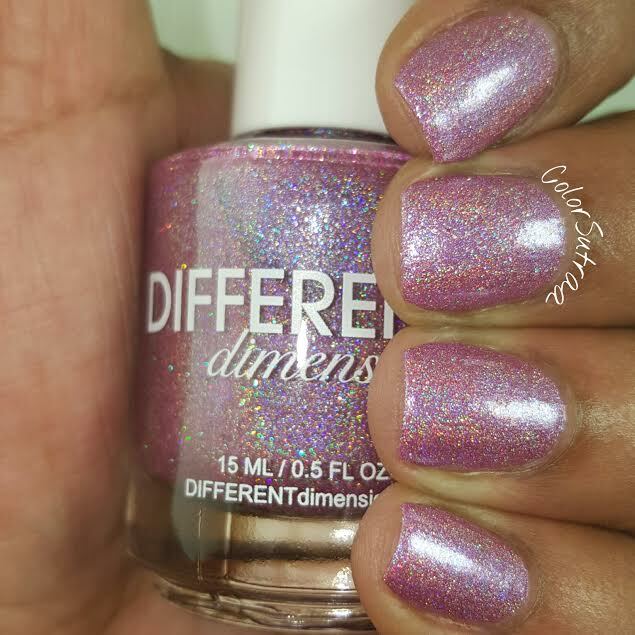 This collection of 4 exclusive, all holographic polishes will be priced at $40 plus shipping and is only available during this special one week pre-order. Both domestic and international shipping will be available! Please note, yo accommodate this month's international guest maker, boxes will be ship on July 15th, rather than July 12th. Which of these gorgeous holos do YOU love best? Will you be grabbing one of these exclusive boxes for yourself or a loved one? I'd love to hear from you in the comments section below! I think they did a terrific job on this box. The polishes look beautiful. I'd love to wear the one from Different Dimensions. No surprise, my favorite shade is the one inspired by Clueless - one of my fav movies! How am I supposed to pick a favourite? These are amazing! 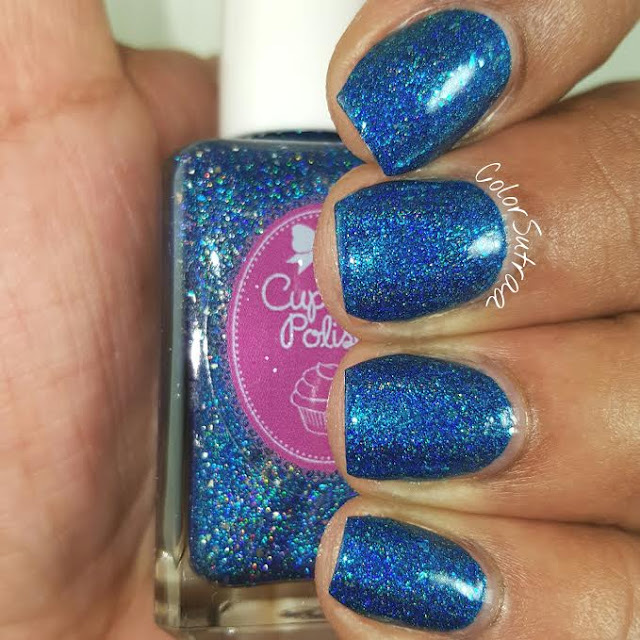 These are all such gorgeous polishes! I love all of the colors and finishes! What a goooorgeous box! I particularly love Superhero Landing. 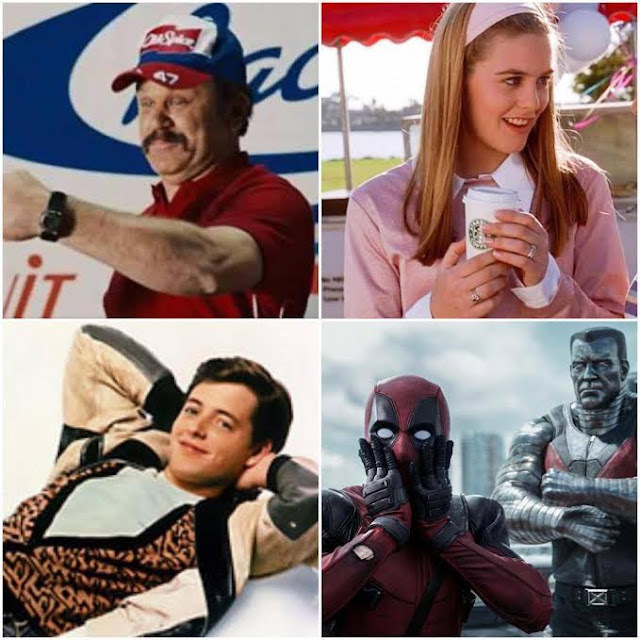 I love Superhero Landing and Shake and Bake! Great swatches. Such a gorgeous box! I'm in love with it! 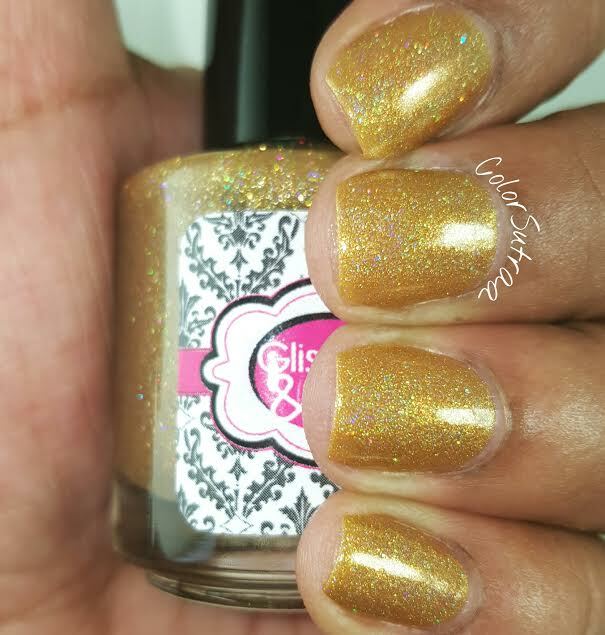 EXCLUSIVE INTERVIEW with Mia of KATHLEEN & CO.